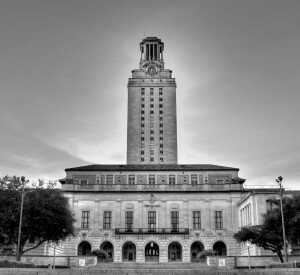 It’s been over 50 years since the infamous University of Texas “Tower Shooting,” one of the first campus mass shootings in U.S. history. Even today, however, there are elements of the killing spree and its aftermath that have yet to be fully revealed and explored. Almost immediately after the shooting, there has been a simmering controversy involving Austin police officers Ramiro Martinez and Houston McCoy, over which of them shot the sniper. The Austin police chief, grand jury and perhaps others in positions of power, along with a disgruntled faction of McCoy supporters, have claimed that McCoy should have received sole recognition. However, the evidence they claim lies in the autopsy report is conspicuously missing. In fact, two of the links claimed to contain this information are broken. We urge you to review ALL the evidence, and make your own conclusions as to what really happened on the tower that day. Former Austin police officer Ramiro Martinez retraces his journey to confront the sniper. 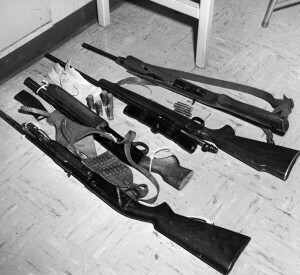 What does the autopsy on sniper Charles Whitman reveal? Some people continue to cite the autopsy report for sniper Charles Whitman as proof-positive that McCoy is solely responsible for killing Whitman and putting the killing spree to a stop. But is that what the autopsy showed? Why are facts concerning the autopsy being denied? Why was Martinez never called to testify before the Grand Jury? Martinez never was called to testify before the justifiable homicide grand jury in this case, though he was the first law officer to view, confront and shoot the sniper. What was the motivation for this, and what did it prove? What is this evidence "proving" McCoy was the only officer to shoot the sniper? Those who make the claim that McCoy was the only officer to fatally shoot the sniper say they have written evidence to back their claim. What is that evidence, and how reliable is it? What was the motivation behind Chief Miles’ scathing “deathbed confession” against Martinez? Former Austin Police Chief Bob Miles made a stunning statement about his officers more than a decade after the Tower shooting. Why did he say it, and what does it prove? This site provides a single place for journalists, historians, and researchers to learn more about the details of the UT tower shooting — specifically disputed details too often reported as fact by current media. What Really Happened At the Tower Shooting? 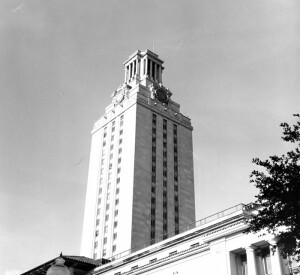 Whitman, firing from the 28th-story observation deck of the UT tower, shot more than 40 people in 93 minutes. The former Marine sharpshooter took 15 lives during that attack and left many others gravely wounded. The victims included UT students, faculty and Austin pedestrians across the street from campus. The sniper didn’t hesitate to shoot children. In fact, his first shot at people on the ground hit the abdomen of a woman who was eight months pregnant. The shot killed her baby instantly. Scores of officers from the Austin Police Department, Travis County Sheriff’s Office, and Texas Department of Public Safety responded. Some diverted traffic from the scene. Others moved civilians from the line of fire. The sniper shot and killed one of the responding officers, Billy Speed, 23, as Speed was making his way toward the tower. 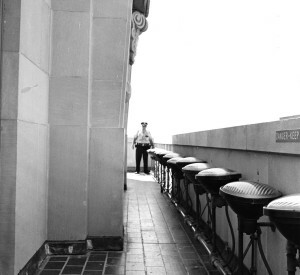 Three law officers and a civilian stepped on to the tower observation deck to confront Whitman – first Officer Martinez, then the civilian Allen Crum, later followed by Officer McCoy and Officer Jerry Day. Crum, a floor manager at the University Co-op across the street, insisted on helping them stop the carnage. Both Martinez and McCoy shot the sniper. Whitman died from his wounds on the scene. But even now, nearly 50 years later, some elements of the tower shooting story have been altered or dropped. When it comes to the final shootout at the tower, there continues to be controversial/conflicting details — details that have been cherry picked to form a misleading narrative that has been pedaled to the media for decades. Why was there such a concerted attempt to manipulate the truth? Who had a hand in doing so, at the expense of Martinez, Crum and all of the nameless students and citizens who risked their lives to try to help the wounded, and sometimes, the dead? We will be updating this site regularly with news and original documents, each highlighting areas of the controversy to consider. Also available are photos, documents and interview transcripts that provide insights into the untold aspects of this historical event. To request information, email inquiries@towershooting.com. This site is dedicated to all those who showed initiative and courage in the face of danger on Aug. 1, 1966, from the citizens and students who put themselves in the line of fire to assist the wounded to the men who eventually confronted the shooter.